Resin Endurance Horse Shoe Award. This great award measures 45mm high by 100mm wide. 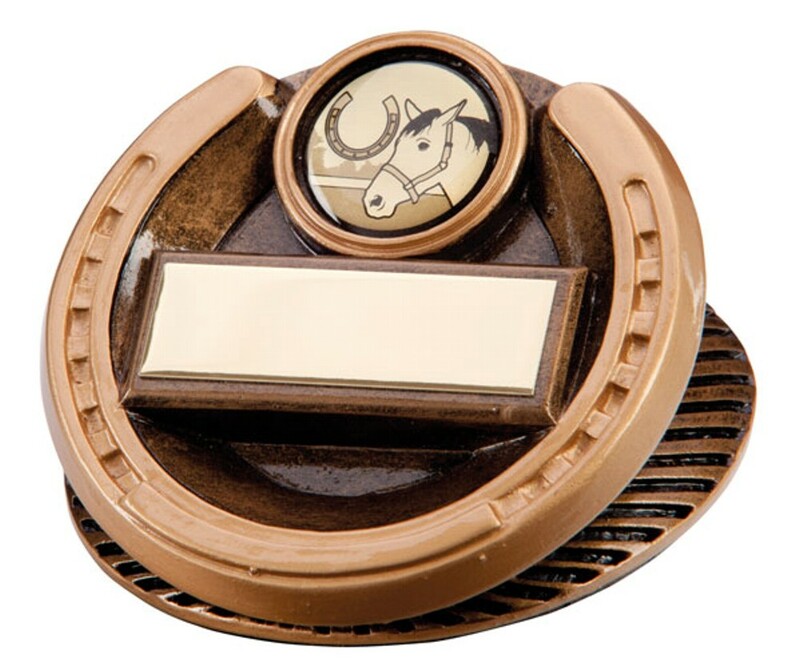 A fantastically detailed horse shoe trophy, antique bronze with gold highlight.